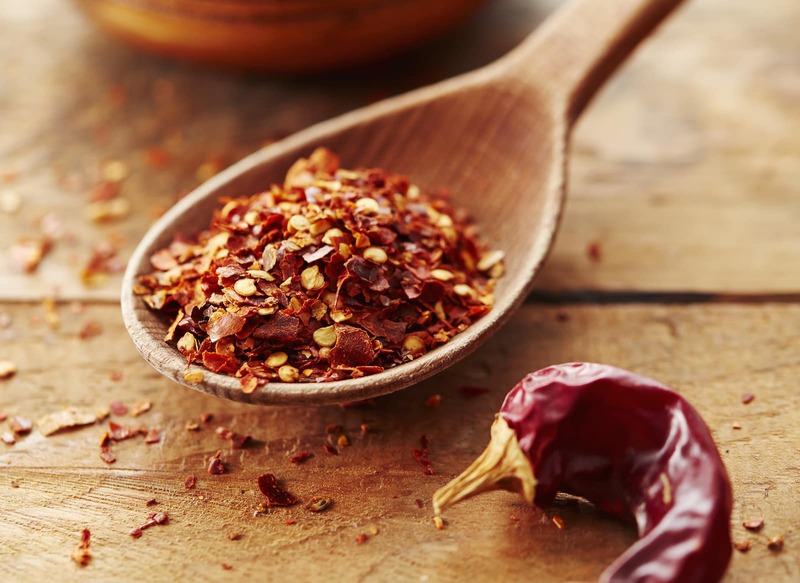 Don’t be surprised that once you try crushed Aleppo pepper (also known as the Halaby pepper), it’ll be hard to settle on generic chili powder or red pepper flakes again. It’s that tasty – a moderate heat, a touch of salt, with more than a hint of tomato-like fruitiness, raison-y tang, and cumin earthiness. It’s the perfect spice pairing with Mediterranean cuisine, but it’s just as good as a spice rack staple for pizza, meats, stews, and even desserts. NOTE: Due to the current violence in Syria, Aleppo pepper has become harder to find for sale fresh or freshly crushed in the United States. Jarred flakes are still widely available online and in specialty stores. 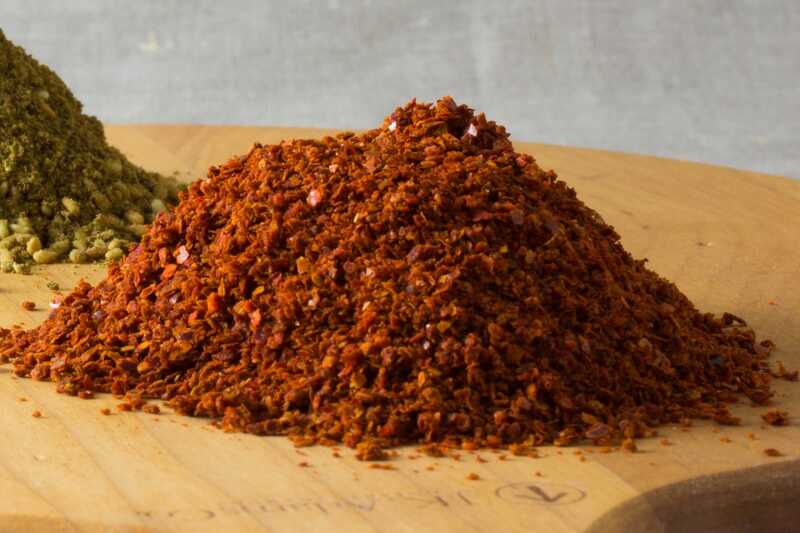 Where does Aleppo pepper come from? These chilies are named after the city of Aleppo in Syria, a city well-known for its culinary heritage. They are grown mostly in Northern Syria and Turkey, and – in its crushed form – it’s a staple spice of Mediterranean foods of the region. 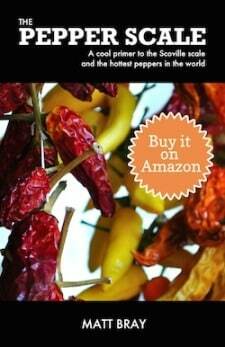 How hot is Aleppo pepper? It’s hot, but not as hot as you may expect, especially in crushed form. The pods – which can be found in markets, but aren’t the typical way this pepper is sold – range around 10,000 Scoville heat units. That’s near the heat of the hottest possible jalapeño pepper or at the bottom range of the serrano pepper. 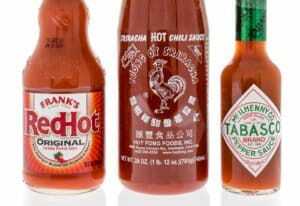 It’s also well under the range of cayenne pepper, which is the base chili of many crushed red pepper recipes. When crushed, it tends to be even milder than 10,000 SHU because commonly the seeds are removed from these chilies prior to crushing. Chilies carry much of their heat in their seeds. The Aleppo pepper pod is similar to a jalapeño: two to three inches in length, long and slightly curved. Though, the Aleppo’s tip tends to form into a narrower point. They age into a deep red. But, again, this is not likely how you’ll become acquainted with this chili. It’s more commonly dried and crushed into flakes. What does crushed Aleppo pepper taste like? Think ancho pepper with a touch of salt and a little more heat. There’s a lot of complex flavors in crushed Aleppo. The chili has a tomato-like brightness, a touch of raison tartness, and a cumin-like earthiness – all wrapped into one. Then there’s a hint of salt, which comes from the typical Aleppo drying process. The flakes are more oily than traditional red pepper flakes and not quite as hot. 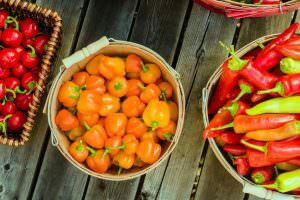 But, they are a whole heck-of-a-lot more flavorful which has led to many people making the switch from generic crushed red pepper to Aleppo pepper flakes for everything from pizza to soups. This chili is a staple for many Middle Eastern recipes, and for very good reason. The flavors of the chili pair very well with the savoriness of the foods of the region. Though, that’s just the beginning for this chili. For those looking for a red pepper flake alternative with more flavor (though a less overall heat), the Aleppo pepper is one of the best options around. 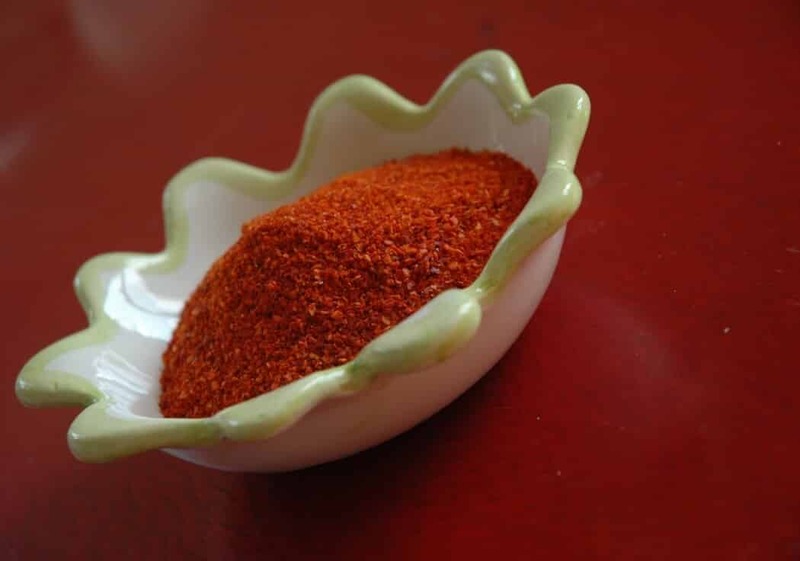 It can even be pulverized further into a powder, which is a perfect replacement for generic chili powder. Anywhere where you’d use those staple condiments is fair play for the Aleppo alternative – and it can really amp up the flavors of any dish. And don’t forget dessert: We find the savoriness of this chili to work terrifically with chocolate and dessert sauces. Where can you buy Aleppo pepper? Specialty spice stores may carry fresh flakes, and you can find crushed it jarred and available in some specialty grocers and at online retailers. Don’t expect big box grocery chains – even those with strong international sections – to carry this spice. It’s not likely. 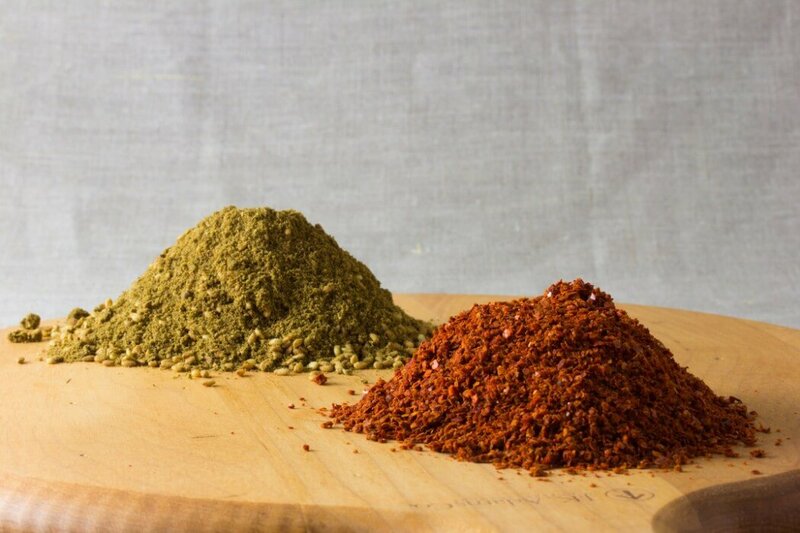 Once you’ve added Aleppo pepper to your spice rack, you may find that it quickly takes over a prime easy-to-reach position. 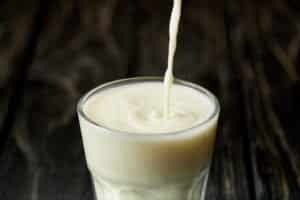 It’s that tasty and usable across many different types of dishes.